Mega Kangaskhan And Mega Gyarados Revealed For Pokémon Let’s Go, Pikachu! And Eevee! 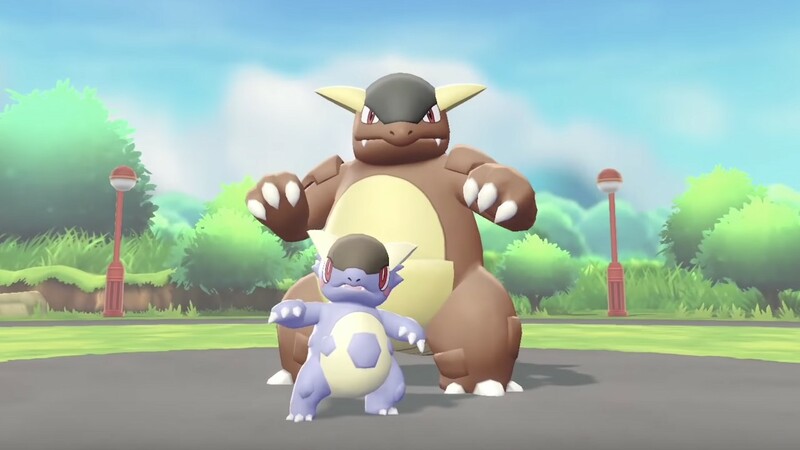 The Pokémon Company has revealed that Mega Kangaskhan and Mega Gyarados will appear in Pokémon Let’s Go, Pikachu! and Pokémon Let’s Go, Eevee!. Mega Evolution was a gameplay mechanic that was introduced in Pokémon X and Pokémon Y that, once the player received a Key Stone and a Pokémon’s Mega Stone, can undergo an “awe-inspiring transformation” in battle. The Pokémon draws on their reserves of strength and power to Mega Evolve, resulting in a temporary evolution that can see their appearance change and stats increase while others may change their Ability or type.